Welcome to our Bedroom Related Catalogs! 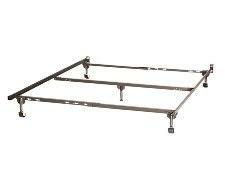 - This category page serves as a guide to everything we carry related to bedroom. Here you will find our main pages to our Mattresses and such related items as Adjustable Bed Bases, Bed Frames, Bed Rails, Link Spring and Pop-Up Trundle units, Master Bedrooms, Bunk Beds, Day Beds, Home Office, Kids / Youth Bedrooms, and Upholstered Platform Beds. Browse through our available mattress options: Twin to king size, one or two sided, inner-spring or memory foam, and select the one that's right for you. Our mattresses and bunky boards, are always available in stock! Everything you need to support a mattress, you will find it here: Metal adjustable bed bases, bed frames, bed rails, link springs, and pop-up trundle units are always available in stock! 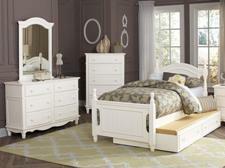 Our bedroom selection includes low profile beds, poster beds, panel beds and sleigh beds. If you need storage, find plenty of options with our dressers, chests and more! 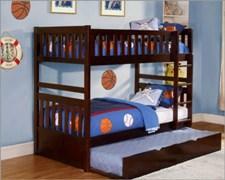 We carry a great selection of bunk beds: Choose from twin over twin, twin over full, full over full or loft bunk beds. We have the bunk beds your children desire and parents want! Choose the style that's right for your child's bedroom from modern, unique, novelty and fresh. Durable materials like metal, wood and vinyl covered, our day bed furniture will withstand everyday use! Stay organized with our collections of home office furniture. Create a simple set-up desk for your computer, along with a bookcase, or safe guard your papers in a handsome file cabinet! We carry a very good selection of kids bedroom options, like twin beds, full beds and even queen beds! 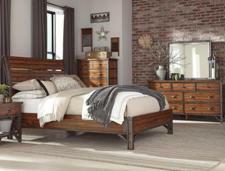 Create a comfortable and elegant oasis with help from our selection of upholstered platform and metal beds.